California’s cap-and-trade system, which has been touted as a model for reducing greenhouse gas emissions worldwide, allows timber companies to clear-cut forests. Millions of forest people could lose their homelands and livelihoods, if California’s Cap and Trade buys REDD *1 carbon credits. Trading REDD+ (REDD) carbon offsets without enforcing forest people’s land tenure & human rights will accelerate climate change & land grabs. This article convincingly presents the ineffectiveness & local danger of California’s Cap and Trade(AB32) . But it understates the global suffering, dislocation & acculturation AB32 will cause due to buying carbon offset through REDD as it currently is written. At the 2015 Paris Climate Conference (COP21) Pennie Opal Plant of the group ‘Idle No More Solidarity San Francisco Bay’, shouted at Governor Brown “Richmond, California says ‘no’ to REDD!”…”no’ to evicting indigenous people from their forests…!” Eviction is just the beginning. Even Brazil which has a better record than most Tropical countries, has failed to adequately recognize & enforce resource & human rights. “Clear ownership records exist for less than 4 percent of the land in private hands throughout the Brazilian Amazon, government officials said… …In the state of Pará, officials have discovered false titles for about 320 million acres, almost double the amount of land that actually exists, according to federal officials.” New York Times, December 26, 2009 by Alexei Barrionuevo. The REDD agreement is only requesting that REDD participants address land tenure rights, forest governance, safeguards and participation for marginalized traditional forest peoples. Would the Paris Agreement negotiators and REDD promoters sign an agreement not to have their family’s property rights or human rights enforced but just request them to be addressed? Not securing those rights prior to REDD funding or payment for marginalized forest peoples with minimal legal means and sophistication is unethical, not the “Golden Rule”. “Given the history of land tenure and conflict in most Tropical countries with large remaining forests, it is implausible and inefficient to believe that rights being requested at the country level will be sufficient. After remote forests & their peoples are put on REDD’s radar it will be a rearguard nightmare to try to stem the suffering, dislocation & acculturation. Either amend REDD to stipulate recognition & enforcement of resource and human rights prior to funding or do not increase interest in those forests by introducing REDD without rights.” commented Forest Keeper to Mike Gaworecki’s Mongabay 12–14-2015 article. California is in the environmental vanguard it could push REDD to recognize and require land tenure and human rights; it could improve Cap & Trade or replace it with a progressive environmental footprint tax. ?AB32 supporters, what is the strategy to ensure REDD requires the recognition and enforcement of customary resource tenure and human rights for forest peoples prior to REDD payment or funding? The human rights & land tenure record of Tropical forested countries is alarming. Global Witness’s Nov. 30, 2015 Press release stated, “At least 640 land and environmental activists have been killed since the 2009 climate negotiations in Copenhagen – some shot by police during protests, others gunned down by hired assassins.” Nepstad & other REDD supporters can always find groups confident enough in their land tenure to participate in “Sectoral REDD” activities, but they are a minuscule minority of the world’s forest people. The vast majority of forest people need those rights now and even more if exposed to REDD. 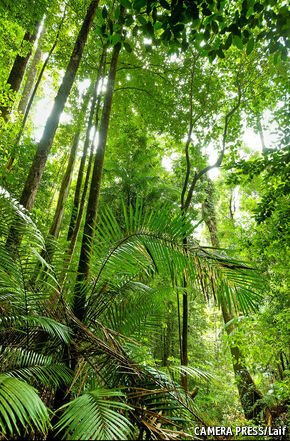 *2 Mongabay posted on 5-16-2012, “Up to 20% of humanity (is) directly dependent on forests. Despite a global trend towards urbanization, some 1.2-1.7 billion people worldwide remain primarily dependent on forests for their livelihoods, reports a review published by the Forest Peoples Programme. The figures exclude people who are indirectly dependent on forests for the services they provide, including climate regulation, provision of clean water, and carbon sequestration. The data, which comes from an array of sources, indicates that the vast majority of people dependent on forests are small-holders, who rely on subsistence agriculture or agroforestry. Only a handful of forest people remain truly nomadic. REDD+ continues to find its place in forest-based strategies against climate change, but getting results will require serious change. REDD+ might not have figured prominently on the agenda of the official climate negotiations in Paris, but experiences and visions were shared during side events and other discussions, and REDD+ continues to find its place in strategies against climate change. For example, the new REDD+ pledges of US$5 billion for 2015–2020 by the newly formed GNU group (Germany, Norway and the United Kingdom) represent a major step-up in international funding, and 39 developing countries included REDD+ in their pledges (INDCs, or Intended Nationally Determined Contributions) to the UNFCCC. The state of REDD+ is not unlike that of the New York Declaration on Forests, a stocktaking of which suggests that progress is slow, at best: It’s a remarkable success as an idea and as a flagship of international climate negotiations, but has had slower implementation and fewer documented results than most of us expected. And indeed, how exactly REDD+ is to be inserted into national development and climate strategies remains a major challenge. In the wake of the celebrations greeting the Paris Agreement, we highlight three areas where REDD+ needs to move forward if it is to realize its original objective: reducing emissions from deforestation and forest degradation. First, REDD+ countries must assume a stronger role and ownership in the implementation of REDD+ and incorporate it into their INDCs and in their domestic emission targets. Second, corporate efforts—through the greening of supply chains—can play a major role, driven by consumer pressure and environmental watchdogs and complemented by domestic policy reforms. Powerful actors are engaged like never before in debates on the role of forests in the global carbon cycle. Third, international funding should nudge countries toward stronger commitments, support capacity building, and provide incentives for forest conservation through results-based mechanisms. To achieve substantial emission reductions, forest conservation will increasingly have to be considered as REDD+ countries’ contribution to the global effort of limiting climate change, as integrated into national green/low-emission/low-carbon/sustainable development strategies. An analysis of the policy process in key REDD+ countries argues that “achieving emission reductions through REDD+ requires four preconditions for overcoming politico-economic hurdles: (i) the relative autonomy of the State from key interests that drive deforestation and forest degradation, (ii) national ownership over REDD+ policy processes, (iii) inclusive REDD+ policy processes, and (iv) the presence of coalitions that call for transformational change.” When the REDD+ process is driven by international actors, it is unlikely to make a difference on the ground. National governments are therefore in the driver’s seat for achieving reduced forest emissions. They have the primary ability for achieving this goal, and—some would argue—also the primary responsibility. Governments can implement a range of specific policies that have proved efficient in limiting deforestation. Subsidized emissions are not just a problem for fossil fuel emissions. A recent report by the Overseas Development Institute points to the pervasive effect of subsidies on key commodities, such as beef and soy in Brazil, and palm oil and timber in Indonesia. The subsidies amount to $40 billion per year for these two countries combined, and, the authors write, “These subsidies are likely to have a far more significant impact on private investment in activities that drive deforestation, than current REDD+ finance.” Reducing these subsidies, or making them conditional on compliance with zero-deforestation practices, represents a win–win change for conservation and development, although some groups will stand to lose from such a reform. Creating and exploiting win–win situations is essential for REDD+ to make headway in national policy-making. REDD+ must be made compatible with national strategies for sustainable development, including food security and poverty reduction. Such win-win opportunities can be created by corporations, consumers and donors. In parallel with the UNFCCC process, several initiatives at global and national levels have involved the private sector as a key partner in REDD+. The most noted national example is the Soy Moratorium of Brazil, adopted in 2006. This made traders agree not to sell soy produced by farmers who had cleared Amazon forests. Internationally, ‘zero deforestation’ initiatives have resulted in several global companies making significant efforts in greening their value chains. Studies among business executives also confirm that corporate reputation, media attention and customer pressure are the most important reasons for taking climate issues into consideration. Security of supply (in areas where production is not sustainable) is likely to become more important as land competition and climate extremes increase in frequency and severity. In the 2014 New York Declaration on Forests, signatories from private sector, civil society and governments committed to doing their part to halve current deforestation rates by 2020 and to end deforestation by 2030. They also agreed to ensure that the production of four key commodities (palm oil, soy, paper, and beef) did not add to deforestation. A combination of higher awareness of the costs and risks involved in continued climate change, consumer pressure and demand for green products, and ‘naming and shaming’ by NGOs and other watchdogs can strengthen this trend even further. With international climate negotiations proving insufficient to deliver the cuts needed to get on a 2 degree path, private sector actors can define new standards and rules in (international) environmental governance. Supply chain reforms need to be backed by domestic legislation and supportive policies to make them function better and to hold companies accountable, while encouraging frontrunners. The initially envisioned role of REDD+, or perhaps the core of REDD+, was a massive transfer of resources to incentivize forest conservation in developing countries. That scenario is unlikely to unfold, basically because the only realistic chance to provide sufficient funding is a global carbon market with REDD+ credits as an offsetting opportunity, and the creation of a market requires national caps on emissions. In absence of that, how could an international agreement advance the implementation of REDD+? REDD+ has moved issues of transparency, accountability, tenure and rights, and indigenous peoples onto domestic political agendas. The only game in town (= Paris) is INDCs: countries made their soft pledges through their submissions of the INDCs. In the best scenario, the review process both inside and—more importantly outside—the UNFCCC framework would help align national contributions toward reaching the 2°C target, enhance transparency and build trust. Halting and reversing the loss of carbon in forests and soils could become the main contribution of many developing countries in their INDCs. In other words, rather than REDD+ being seen solely as a vehicle to generate international funding, part of it could be claimed as a national contribution to the global efforts of curbing climate change, particularly for middle-income countries. In terms of international funding, the Green Climate Fund, and other multilateral and bilateral arrangements (such as the GNU pledge) can provide funding for capacity building, upfront investments, concessional finance and direct payments for results (i.e. for reduced emissions). International funding for REDD+ (and climate funding in general) should arguably focus on the poorest countries, rather than middle-income countries such as Brazil that have sufficient resources to cover the domestic costs of forest conservation. REDD+ is frequently presented as a climate success story, partly because the idea looks so simple and appealing, partly because of the unusual inclusiveness of the process (the wide variety of active CSO and IP observers), partly because of the funding mobilized and activities generated, and partly because UNFCCC has for once reached a balanced agreement despite huge technical challenges. Powerful actors—from presidents and finance ministers in REDD+ countries to top executives in international corporations—are engaged like never before in debates on the role of forests in the global carbon cycle. REDD+ has moved issues of transparency, accountability, tenure and rights, and indigenous peoples onto domestic political agendas. The dramatic change in the global narrative and the political momentum generated are reasons for cautious optimism. REDD+ is frequently presented as a climate success story, partly because the idea looks so simple and appealing. But a thorough reality check is needed. The envisioned results in terms of reduced emissions have—by and large—not been delivered. Brazil is a success story, although little of its success can be attributed to REDD+. For other countries, there are few stories of substantial early progress in terms of reductions in deforestation (and its harder-to-measure twin, forest degradation). Old and new business-minded coalitions have blocked progress, suggesting that REDD+, if implemented, would actually make a difference. This analysis is based in part on Arild Angelsen’s chapter “REDD+: What should come next?” in Towards a Workable and Effective Climate Regime. These comments are in response to the blog listed above entitled, ‘Three areas to focus on to make REDD+ work’ By Arild Angelsen and Louis Verchot, CIFOR Forests News Blog, 23 December 2015. CIFOR continues, “International funding for REDD+ (and climate funding in general) should arguably focus on the poorest countries, rather than middle-income countries such as Brazil that have sufficient resources to cover the domestic costs of forest conservation.” Imagine, the poorest countries have even worse record on “transparency, accountability, tenure and rights, and indigenous peoples” than Brazil. Global Witnessed continued, “Most murders occurred in Latin America and Asia with far fewer reported in Africa, however this may be (due) to a lack of information…. …Justice is rarely given to murder victims. Killers are rarely brought to trial and often acquitted when they are. In Brazil, fewer than 10 percent of such murders go to trial, and only 1 percent see convictions.” The domestic politics of Tropical forested countries have very poor human rights & land tenure records. The promotion of REDD without requiring these rights makes these people & their forests much more endangered. The world’s unprotected forests and their peoples primarily exist because these forests were not profitable to exploit due to inaccessibility or danger. REDD is creating an economic incentive to now make these forests and their peoples much more profitable to exploit but without requiring the enforcement of the rights that will protect forest peoples & create well regulated markets. Carbon credit entrepreneurs, Government entities and NGOs have started promoting REDD without the enforcement of required safeguards in the last remote forests. One of CIFOR’S Blog authors, Arild Angelsen’s wrote the following in his chapter “REDD+: What should come next?” in ‘Towards a Workable and Effective Climate Regime’: “To achieve significant reductions in forest emissions, the REDD+ countries themselves must take the driver’s seat with a focus on domestic policy reforms and enabling environments; the corporate sector should continue the greening of its supply chains, pushed by consumers, watchdogs and demand-side policies; and the international regime must gently nudge the countries to stronger pledges and provide finance to nudge and supplement domestic efforts in the poorest countries. Even Brazil has failed to adequately recognize & enforce resource & human rights. “Clear ownership records exist for less than 4 percent of the land in private hands throughout the Brazilian Amazon, government officials said. …In the state of Pará, officials have discovered false titles for about 320 million acres, almost double the amount of land that actually exists, according to federal officials.” NYT, December 26, 2009 by Alexei Barrionuevo. Given the history of land tenure and conflict in most Tropical countries with large remaining forests, it is implausible and inefficient to believe that “nudging” for rights will be sufficient. After remote forests & their peoples are put on the REDD’s radar it will be a rearguard nightmare to try to stem the suffering. Either amend REDD to stipulate recognition & enforcement of resource and human rights prior to funding or do not increase interest in those forests by introducing REDD without rights. REDD could be amended, so that REDD+ would stipulate that forest communities’ resource customary rights shall be secured and enforced before more than 10% of REDD+ funding is granted solely for implimenting that legal tenure process. These rights of resource tenure should be secured for at least three times the life of the oldest tree species in the forest in question and 51% of REDD+ funds or carbon offsets received by the national or sub national Government should be matched by those entities and provided to the forest peoples for the enforcement of their rights. ?CIFOR or REDD supporters, what is the strategy to amend REDD to ensure the recognition and enforcement of customary resource tenure and human rights for forest peoples prior to REDD payment or funding? These comments were submitted twice to CIFOR starting on 1-12-16, but CIFOR has not posted them. Mongabay is the world’s most popular rainforest information site and a well-known source of environmental news reporting and analysis. The international community is getting serious about lowering emissions to stop global temperatures from continuing to rise unabated — and negotiators in Paris did indeed include mechanisms for addressing deforestation as a major means of accomplishing that goal. Deforestation in Sumatra. Photo by Rhett Butler. Many forest experts and conservationists are saying that the inclusion of REDD+ as a standalone article — Article 5 — in the final agreement out of Paris sends a strong signal that the era of blithely chopping down forests for agriculture and other economic development projects is officially drawing to a close. While many experts applauded how the agreement calls for financing for REDD+, there is a need for more funds, especially from private sector. Is REDD+ without enforcing forest people’s rights a “step forward”? Donald Lehr, a consultant to the REDD+ Safeguards Working Group, a coalition of civil society organizations, said , “So it’s only a beginning, The Agreement will be proven by the actions countries take.” Tropical forested countries have very poor land tenure rights enforcement record for forest people. Even Brazil which has a better record than most Tropical countries, has failed to adequately recognize & enforce resource & human rights. “Clear ownership records exist for less than 4 percent of the land in private hands throughout the Brazilian Amazon, government officials said. …In the state of Pará, officials have discovered false titles for about 320 million acres, almost double the amount of land that actually exists, according to federal officials.” NYT, December 26, 2009 by Alexei Barrionuevo. Given the history of land tenure and conflict in most Tropical countries with large remaining forests, it is implausible and inefficient to believe that rights being “Addressed and respected” will be sufficient. After remote forests & their peoples are put on the REDD’s radar it will be a rearguard nightmare to try to stem the suffering, dislocation & acculturation. Either amend REDD to stipulate recognition & enforcement of resource and human rights prior to funding or do not increase interest in those forests by introducing REDD without rights. How is REDD effective and just, if it only is requesting to address land tenure rights, forest governance, safeguards and participation for marginalized traditional forest peoples? Would the Paris Agreement negotiators and REDD promoters sign an agreement not to have their family’s property rights or human rights enforced but just request them to be addressed? Not to secure those rights prior to REDD funding or payment for marginalized forest peoples with minimal legal means and sophistication is unethical, not the “Golden Rule”. REDD could be amended, so that it would stipulate that forest communities’ resource customary rights shall be secured and enforced before more before REDD+ funding is granted for anything other than implementing that legal land tenure process. These rights of resource tenure should be secured for at least three times the life of the oldest tree species in the forest in question and 51% of REDD+ funds or carbon offsets received by the national or sub national Government should be matched by those entities and provided to the forest peoples for the recognition & enforcement of these rights. ?Mongabay, CIFOR or REDD supporters, what is the strategy to ensure REDD requires the recognition and enforcement of customary resource tenure and human rights for forest peoples prior to REDD payment or funding? * Mongabay posted on 5-16-2012, “Up to 20% of humanity directly dependent on forests. Despite a global trend towards urbanization, some 1.2-1.7 billion people worldwide remain primarily dependent on forests for their livelihoods, reports a review published by the Forest Peoples Programme. The figures exclude people who are indirectly dependent on forests for the services they provide, including climate regulation, provision of clean water, and carbon sequestration. Hope for the trees…what about the forest peoples who have been the forests’ best protectors? REDD does not require the enforcement of the land tenure and safeguard (read Human Rights) for forest peoples(see Decision 1/CP.16:72. ), rather it endangers them. The world’s unprotected forests and their peoples primarily exist because these forests were not profitable to exploit due to inaccessibility or danger. REDD+ in the Paris Agreement (REDD is creating an economic incentive to now make these forests and their peoples much more profitable to exploit but without the enforcement of the rights that will protect forest peoples & create well regulated markets. Carbon credit entrepreneurs, Government entities and NGOs have started promoting REDD without required safeguards in the last remote forests. Money for REDD seems to be easier to come by than requiring the rule of law in remote forests. REDD could be easily gamed unless it requires standards for resource tenure and human rights. There will never be enough environmental cops to protect these forests from either those who are “above or outside the law” , or those “below the law” , marginalized forest people, who have no long-term legal stake in their forests. REDD supporter, what is your strategy to amend REDD to ensure the recognition and enforcement of resource tenure and human rights for forest peoples prior to REDD payment or funding? FEATURED ARTICLE: NATIONAL WILDLIFE FEDERATION: Our Call for an Ambitious Global Climate Agreement Has Been Answered: A Summary. Yes NWF, forests are important for reducing green house emissions, but what about the forest peoples who have been the forests’ best protectors? REDD+ in the Paris Agreement (REDD) does not require the enforcement of the land tenure and safeguards (read Human Rights) for forest peoples, rather it endangers them. The key non-binding words there are, “…requests…to address…” applied to the “…land tenure issues… forest governance…safeguards.” This is vague “UNese” language providing the dangerous illusion of safeguards that are not there. The fate of millions of forest peoples reside in the difference between enforcing resource and human rights vs requesting that they be addressed. This National Wildlife Federation (NWF) blog states, “NWF encourages governments to ramp up financing for REDD+ before and after 2020…”. Money for REDD seems to be easier to come by than requiring the rule of law in remote forests. REDD could be easily gamed unless it requires standards for resource tenure and human rights. There will never be enough environmental cops to protect these forests from either those who are “above or outside the law”, or protect those “below the law” , marginalized forest people, who have no long-term legal stake in their forests. Jorge Furagaro Kuetgaje, climate coordinator for COICA, the Indigenous People of the Amazon Basin stated, “For us to continue to conserve the tropical forests … we need to have strong rights to those forests. Death should not be the price we pay for playing our part in preventing the emissions that fuel climate change.” . A Global Witness report found that at least 116 environmental activists were murdered in 2014, and 40% of the victims were indigenous.” . NWF & other REDD supporters, what is the strategy to amend REDD to ensure the recognition and enforcement of resource tenure and human rights for forest peoples prior to REDD payment or funding? How is REDD effective and just, if it only is requesting to address land tenure rights, forest governance, safeguards and participation for marginalized traditional forest peoples? Would the Paris Agreement negotiators and REDD promoters sign an agreement not to have their family’s property rights or human rights enforced but just request them to be addressed? Not to secure those rights prior to REDD funding or payment for marginalized forest peoples with minimal legal means and sophistication is unethical. What is the strategy to apply the “Golden Rule” so that that prior to REDD funding or payments, human rights and customary resource tenure become enforced statutory rights? After decades of evolution and years of difficult negotiations, efforts to slow climate change by saving trees and reducing emissions from deforestation and forest degradation (REDD) are enshrined in the United Nations Climate Accord. Here is a brief synopsis of Article 5, the one related to REDD and REDD+. Note: this story has been excerpted from “How Markets And Mother Earth Each Found A Home In The Paris Climate Accord.” Click here to read the full story. 15 December 2015 | REDD began percolating way back in the early 1970s, when physicist Freeman Dyson asked a simple question: “Can we control the carbon dioxide in the atmosphere” by planting trees that breathe in carbon dioxide and breathe out oxygen? His answer: yes, we can, but we’d still need to slash our industrial emissions to prevent catastrophic climate change. In the late 1980s, a policy analyst with the World Resources Institute named Mark Trexler realized you could sponge up even more carbon dioxide if you saved endangered rainforest rather than planting new trees, and the energy company Applied Energy Services (AES) worked with him to reduce their carbon footprint by doing just that. and human rights of forest peoples? A well-regulated market requires clear ownership of resources, the rule of law and enforced human rights in order to fairly: trade, negotiate and litigate. So how does REDD+ in the Paris Accords (REDD) establish well-regulated and ethical markets, when it does not require the recognition and enforcement of resource tenure and human rights of Indigenous and forest peoples prior to payment or funding? Mr, Zwick or your allies, if you read no further, please answer this question using only the agreed REDD text and its Paris Accord references. If your answer cannot be found in the texts, then what is the REDD strategy to ensure that those rights are recognized and enforced? The key non-binding words there are, “…request…to address…” applied to the “…land tenure issues… forest governance…safeguards.” This is vague “UNese” language providing the dangerous illusion of safeguards that are not there. The fate of millions of forest peoples reside in the difference between enforcing resource and human rights vs addressing them. The world’s largest forests and their peoples primarily exist because these forests were not profitable to exploit due to inaccessibility or danger. REDD is creating an economic incentive to now make these forests and their peoples much more profitable to exploit but without the enforcement of the rights and safeguards that will protect them. Carbon credit entrepreneurs, Government entities and NGOs have already started pushing REDD into the last remote forests endangering many forest peoples. How is REDD ethical, if it only is “requesting to address land tenure rights, forest governance, safeguards (read human rights) and participation” for marginalized traditional forest peoples? Would the Paris Accord negotiators and REDD promoters sign an agreement not to have their family’s property rights or human rights enforced but just request them to be addressed? Not to secure those rights prior to REDD funding or payment for marginalized people with minimal legal means and sophistication is unethical. Mr. Zwick, please explain exactly what binding protection this text provides for indigenous rights? 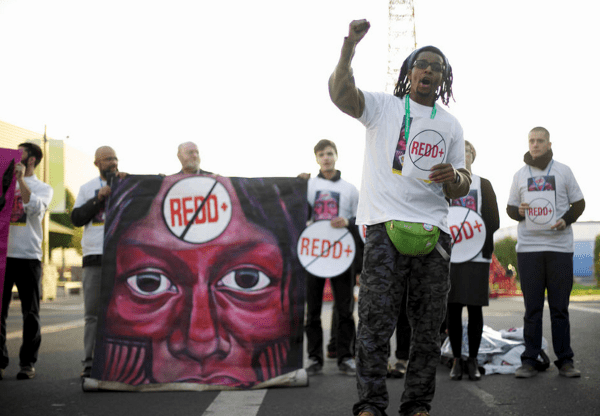 As revealed above, many REDD supporters at COP21 stopped using its’ 10 year old acronym and started referring to saving the forests possibly to avoid REDD’s text being scrutinized. Not all REDD’s critics have “duality delusion syndrome”, many of us support ethical markets. But REDD is ethically inadequate and needs to be amended by applying the The Golden Rule. This story first appeared on Huffington Post. Click here to view the original. Instead of dividing the nations of the world into three neat categories – developed, developing, and “in transition” – the new framework acknowledges that each country is unique, and that different philosophical approaches can be employed in pursuit of the same goal.It acknowledges that we need to fix the economic system, not destroy it, and it rejects the false duality between morality and markets, encouraging instead the development of moral markets that are well-structured, well-run, and well-regulated – and that every country is free to use or not use. It even blends scientific concepts like biodiversity and ecosystem integration with indigenous concepts like Mother Earth, who is explicitly mentioned in the preamble. Of course fossil fuels aren’t mentioned anywhere in the text. The words “oil” and “coal” don’t appear. The word “gas” appears 24 times, but only in the context of “greenhouse gas emissions”, rather than the fossil fuel, natural gas. 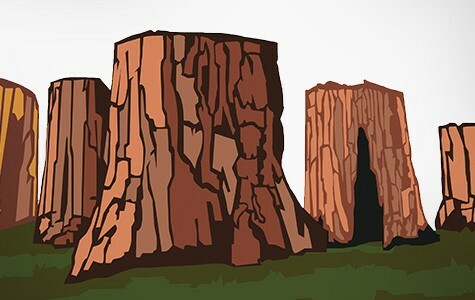 The word “forest” appears four times, “forests” five times, and “deforestation” twice. The abbreviation “REDD” isn’t mentioned, but it appears as “reducing emissions from deforestation and forest degradation” twice. 1. Parties are encouraged to conserve and enhance, as appropriate, sinks and reservoirs of GHG as referred to in Article 4 paragraph 1(d) of the Convention. 2. Parties are encouraged to incentivize,[including by scaling up resources] the reduction of emissions from deforestation and forest degradation and to promote the conservation and sustainable management of forests and enhancement of forest carbon stocks in developing countries, while enhancing the non-carbon benefits; and to support alternative policy approaches, such as joint mitigation and adaption approaches for the integral and sustainable management of forests, including alleviating poverty and building ecosystem resilience, in accordance with previous COP decisions related to forests. One after another countries from the Coalition for Rainforest Nations asked that the words “REDD-plus mechanism” be put back in text. 1. Parties should take action to conserve and enhance, as appropriate, sinks and reservoirs of greenhouse gas as referred to in Article 4, paragraph 1(d), of the Convention. 2. Parties may take action to implement and support, including by scaling up resources, policy approaches and positive incentives for reducing emissions from deforestation and forest degradation, and the role of conservation, sustainable management of forests and enhancement of forest carbon stocks in developing countries; as well as alternative policy approaches, such as joint mitigation and adaptation approaches for the integral and sustainable management of forests; while reaffirming the importance of non-carbon benefits associated with such approaches; as set out in related guidance and decisions already agreed under the Convention. In version 2, “scaling up resources” is no longer in square brackets. In version 2, the words “policy approaches and positive incentives” have been added. In version 2, the words, “including alleviating poverty and building ecosystem resilience”, have been deleted. 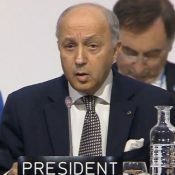 French Foreign Minister Laurent Fabius, President of COP21, says that the final text of the Paris Outcome will be presented one day late, on Saturday morning (12 December 2015). « Will carbon markets ever deliver for southern governments, forests and people? On 30 November 2015, the Indigenous Environmental Network put out a press release under the headline: “UN Paris Accord could end up being a Crime against Humanity and Mother Earth”. REDD is one of the false solutions targetted in the press release. Jendog Lonewolf’s “No REDD” video, in conjunction with Indigenous Rising and the Indigenous Environmental Network critiques the UN’s REDD program that works as a poison pretending to be cure– destroying the biodiversity, forests, and local economies it feigns to protect. Through carbon credits, the program allows corporations to pollute even more while land grabbing and violently keeping Indigenous Peoples from their lands. 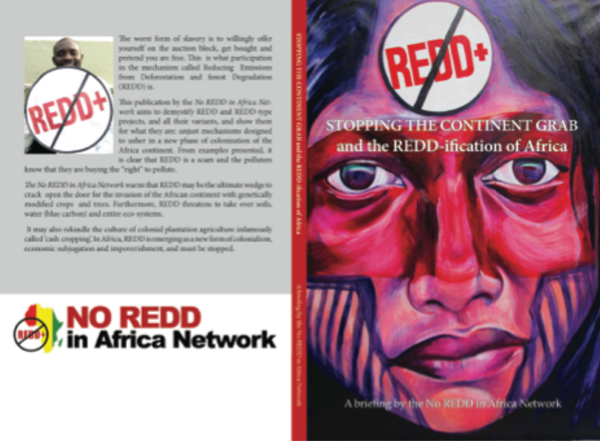 At a side-event in Paris, the No-REDD in Africa released a book titled, “Stopping the Continent Grab and the REDD-ification of Africa”. You can download the book here. This publication by the No REDD in Africa Network aims to demystify REDD and REDD-type projects, and all their variants, and show them for what they are: unjust mechanisms designed to usher in a new phase of colonization of the African continent. From examples presented, it is clear that the REDD mechanism is a scam and the polluters know that they are buying the “right” to pollute. The Indigenous Environmental Network staged an action in coordination with Xiuhtezcatl Tonatiuh at the corporate funded Solutions 21 Concert. For his last song, Xiuhtezcatl invited representatives of the Global Grassroots Justice Alliance and the Indigenous Environmental Network’s Indigenous Rising to the stage, where they made a statement against fracking and REDD. Friends of the Earth International, Global Alliance against REDD, Indigenous Environmental Network, Grassroots Global Justice, No REDD+ in Africa Network held a protest outside the conference centre. And finally, the Indigenous Environmental Network held a press conference, which you can read about on REDD-Monitor here. The comments & questions you posted by Norman Lippman, Living Story Foundation (# 9) 11 December 2015 at 12:29 am, remain unanswered in your previous article & in your new articles: Snapshot #1 & Snapshot #2 where they increase in urgence. I’ve updated my comments slightly . RSVP ASAP. Chris, The following might be a method for inserting text in a finished document. I present it mainly because it indicates that REDD may not be locked in stone. But I will ask you the question if not now, then how later to change REDD? Kate Dooley wrote, ”While the majority of countries do not want to see any reference at all to REDD+ in the text, the Coalition for Rainforest Nations, a group of rainforest nations led by Panama, want to establish a new REDD+ institution, which would centralise REDD+ finance. Brazil in particular is concerned that any reference to REDD+ could be seen as redefining REDD+ or requiring reinterpretation of the existing decisions. What organization or individual is being most effective at getting REDD reinterpreted at COP21 in regard to resource & human rights recognized & required? Chris, I am not an expert on UN negotiations & strategy, so I ask you, who monitors REDD the next logical question. If not by modifying REDD, then how do we get those safeguards and resource & human rights “recognized & required” prior to funding vs just having those rights “addressed” as REDD currently reads? What organization or individual has the most promising strategies for getting safeguards & rights recognized & required for forest peoples? Where can we find the best explanations of these strategies? 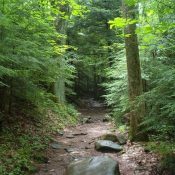 @Norman Lippman, Living Story Foundation (#1) – Perhaps rather than insisting that I spend my time answering your questions, you should contact the REDD+ Safeguards Working Group. Good luck with inserting text about human rights into the REDD safeguards. Personally I think the safeguards are staggeringly weak, that REDD is neither going to protect forests nor address climate change. And I think REDD is the wrong mechanism for attempting to uphold land rights. The draft outcome contains 940 pairs of square brackets. There’s nothing in there about fossil fuels. The word forest appears 11 times and the word deforestation once. REDD appears 11 times. Negotiations on REDD were completed in June 2015, so there’s no real need to mention REDD in Paris. But Kevin Conrad and the Coalition for Rainforest Nations have spent a large part of the last ten years telling us how important REDD is, and they are not likely to stop any time soon. New carbon markets to be created in Paris? The word “market” only appears once in the Draft Paris Outcome, and its in the context of enhancing “non-market-based approaches”. However, as Oscar Reyes points out, this is partly because markets have been replaced by variations on the theme of internationally transferred mitigation options. Clever, eh? “In other words,” Solón writes, “carbon credits from different kinds of projects can be bought and traded, to offset emissions.” The Sustainable Development Mechanism would build on the mechanism defined under Article 6 and Article 12 of the Kyoto Protocol. Article 6 created carbon offsets and Article 12 created the Clean Development Mechanism. 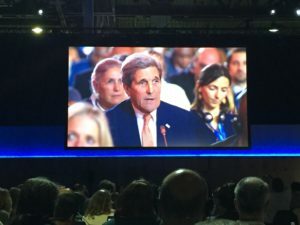 As we enter the second week of the Paris climate summit, four years of technical negotiations (under the working group of the Ad-hoc Durban Platform (ADP) have finally drawn to a close with the production of a Draft Paris Outcome. This document now passes to Ministers who will spend the next five days locked in political negotiations aimed at turning this draft in to a new global climate treaty, by December 11th. Despite this milestone, there are still major outstanding issues to be agreed. Political momentum is growing for agreeing to limit warming to 1.5C above pre-industrial levels, (or to at least reference this alongside the more widely known 2C limit), with the objective of protecting the countries most vulnerable to the worst effects of runaway climate change. Yet so far this increased ambition has not been followed up with bolder measures for supporting (especially developing) countries to deliver the rapid emissions reductions needed to achieve it (in the parlance of the Paris climate conference, these measures are called ‘means of implementation’ (MoI), and include finance, technology transfer and capacity building support). This disconnect has led to some strange positioning. Some of the historically lower per-capita polluters, such as India, are refusing to support a 1.5C temperature limit, while high per-capita polluters such as Australia support 1.5C, but refuse to discuss climate finance. On Friday, the G77 walked out of a negotiating session on adaptation, after a number of industrialised countries bracketed all reference to adaptation finance (‘bracketed’ is another piece of climate summit parlance, meaning highlighting certain sections of text as contentious, up for negotiation or even complete removal). The G77 has raised concerns that developed countries are refusing to engage in negotiations of key issues that would empower developing countries to cope with climate change and contribute to the global response. The overall ‘purpose’ of the Agreement also contains a reference to human rights and gender equity. 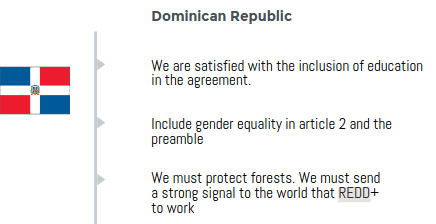 Previous language which included the rights of indigenous peoples, gender equality, intergenerational equity, a just transition, food security and the integrity of ecosystems has been moved to the preamble, therefore weakening reference to these crucial issues, amid a strong civil society backlash against Norway and the US for speaking out against including human rights in the text. Long-term global goal, raising the spectre of flawed forest carbon offsets. A contentious issue which Ministers will need to resolve is the long-term goal of the agreement, supposed to provide a collective target guiding long-term action. Options range from more ambitious quantitative goals of peaking and rapid emission reductions, to zero greenhouse gas emissions or decarbonisation, to more qualitative language such as a ‘low emissions transformation’. A much debated goal of net-zero emissions is no longer in the text; welcome news for civil society which has widely opposed net-zero, seeing it as a green light for using land and forests as ‘carbon sinks’ to mitigate emissions, risking land grabs and threatening food security. However, ‘climate neutrality’ is still there in the text, which carries essentially the same meaning (that emissions are offset by removals), and could even be interpreted to support dangerous geo-engineering approaches which try to limit warming despite emission increases. The EU, in line with its Council Conclusions, has been supporting a reference to food security in the agreement, along with a handful of other countries. Achieving food security is an integral part of the UN sustainable development goals and refers to physical and economic access to sufficient, safe and nutritious food. A number of developing countries prefer to reference ‘food production’ over ‘food security’, as production does not imply any restraints on industrial agricultural practices. Leaders in the ‘production’ camp are countries like Argentina and Uruguay, which are net-agricultural exporters. For the same reason, these countries are also resisting any reference to the land sector or land-use, fearing the term could imply mitigation obligations on the agricultural sector. At the moment there are still references to accounting rules for land use, and internationally transferred mitigation outcomes (which is the new euphemism for carbon trading). It is likely that both of these will be lost from the text. In particular there is a lot of opposition to mentioning land (as mentioned above), and the final result is likely to be a reference only to emissions and removals. The problem here is that this emphasises the role of land in removing carbon from the atmosphere (a carbon sink), but does not clearly link this role with the other crucial roles that land plays in the lives of billions of people. There is risk in focussing on using land to sequester carbon, without explicitly recognising that this could impact the human rights, land tenure rights and food security of local communities and indigenous peoples living on and using that same land. A group of countries – most notably the Philippines, have supported language that recognizes existing international obligations and seeks to develop principles after Paris that would ensure the integrity and resilience of natural ecosystems, respect customary and sustainable land use systems, respect indigenous peoples’ and communities’ tenure rights and ensure food security. While the EU has shown support for food security, it has not gone so far as to support a work programme to develop principles on how food security and other multiple uses of land would be protected. There has been some debate over whether to include a reference to REDD+ in the new agreement or not. REDD+ is currently in the text, in what is called Article 3 ‘bis’, which defines a REDD+ mechanism and refers to the existing Warsaw Framework for REDD+. While the majority of countries do not want to see any reference at all to REDD+ in the text, the Coalition for Rainforest Nations, a group of rainforest nations led by Panama, want to establish a new REDD+ institution, which would centralise REDD+ finance. Brazil in particular is concerned that any reference to REDD+ could be seen as redefining REDD+ or requiring reinterpretation of the existing decisions. Negotiations on REDD+ officially finished in June, and should be formally adopted by the COP this week. There is no clear substantive need therefore to refer explicitly to REDD+ in the new climate treaty, and such a move could be interpreted by the outside world as support for forest carbon markets, when in fact there is no direct link between REDD+ as defined in the Warsaw Framework and financing REDD+ via carbon trading. ministerial level political negotiation = new global climate treaty- Dece11 . doubts and diets ? paris VS saris . who knows distance may lend us enchantment!! The REDD+ agreement could be humane & environmentally effective, if it required the enforcement of crucial resource tenure and human rights for forest communities prior to funding. It does not yet recognize & stipulate those rights, so continues as an unjust, unsustainable & destructive greenwashed scheme. The key nonbinding words there are “…request… to address … applied to the land tenure issues… forest governance…. safeguards. This is vague “UNese” language wrapped in nonbinding “UNese” providing the dangerous illusion of safeguards that are not there. REDD+ agreement in its current vague & dangerous form is being negotiated in to the Paris COP21 agreement text. Here Lang writes, “Brazil in particular is concerned that any reference to REDD+ (in the new agreement) could be seen as redefining REDD+ or requiring reinterpretation of the existing decisions.” We believe it should be renegotiated to stipulate that prior to REDD+ funding human rights and customary resource tenure are recognized & enforced statutory rights. Why do you, Lang write, “Negotiations on REDD+ officially finished in June, and should be formally adopted by the COP this week.”? Do you want REDD+ to be finalized in its current form with no mandatory safeguards for forest peoples? If not how do you propose REDD+ be changed to, at a minimum, protect forests & their people? I’ve added the words “Here is her report in full”, to avoid any further confusion. REDD isn’t being negotiated in Paris. The REDD negotiations finished in June 2015. The only decision to be made regarding REDD in Paris is whether to mention it in the Paris Outcome. Apparently REDD negotiators are struggling with whether to call it a “REDD+ mechanism” (with all the echoes and baggage of the Clean Development Mechanism…) or not. On Paris is not about forest and health of planet, it is about money. It is so sad that we, people, destroy the planet. “I agree with you that land rights are important. But I don’t think it makes sense to use REDD as a way of achieving land rights. Please explain why it does not make sense to you or other concerned about land rights & safeguards to enshrine the enforcement of those rights in REDD by redefining REDD now (as Brazil opposes) ? REDD could create the economic incentive to misappropriate these forest lands & acculturate or displace forest peoples. Why not stop those injustices by enshrining those rights in REDD mechanism? These posts describe the rights issue, but do not answer my question, why not redefine REDD to include those rights before including REDD in the Paris Agreement? Why would they want to do this later vs. enshrining the enforcement of those rights in REDD by redefining REDD now? What is the best articulation of their strategy? Thank you in advance for your kind explanation in order to understand your criteria on this particular issue. @yvette aguilar (#6) – Thanks for this. I didn’t write that sentence. Kate Dooley did, so you’d have to ask her what she means. I think what she’s saying is that because the REDD negotiations were completed in Bonn in June 2015, there is no need to mention REDD in the Paris COP text. The Warsaw Framework on REDD doesn’t explicitly say whether REDD is a carbon trading mechanism or not. Including REDD in the Paris text could be read as support for REDD as a carbon trading mechanism. 1. I don’t think it makes sense to trade the carbon stored in forests in the tropics against continued greenhouse gas emissions in the Global North. REDD is a carbon trading mechanism not a way of ensuring land rights. You’re right, REDD could create the economic incentive for a land grab. Stopping this by putting rights in the REDD safeguards may sound like a good idea, but the UNFCCC negotiations on REDD safeguards are finished. How do you propose inserting text in a finished document? 2. The answer to this question is the same – the UNFCCC REDD negotiations are finished. How can you include rights in a process that is completed (and failed to incorporate those rights)? 3. I didn’t write that sentence. Kate Dooley did. See my previous answer to your comment. I’ve now made Kate Dooley’s comment on COP21 a quotation to make it even more obvious that I did not write this. Chris, The following might be a method for inserting text in a finished document. I present it mainly because it indicates that REDD may not be locked in stone. But I will ask you the question if not now, then how later? Who is most effective at getting REDD reinterpreted at COP21? Chris, I am not an expert on UN negotiations & strategy, so I ask you, who monitors REDD the next logical question. If not by modifying REDD, then how do we get those safeguards and resource & human rights recognized & required prior to funding vs just having those rights addressed as REDD currently reads? Who has the most promising strategies for getting safeguards & rights recognized & required for forest peoples? I believe that many of us are wondering how to keep REDD from making the lives of forest peoples worse and seek the best strategies for ensuring that REDD does not do that. Thanks in advance for your expertise. @Norman Lippman, Living Story Foundation (#9) – The conversation continues here. He ends by promoting, “a climate programme, known as Redd+, to provide financial incentives for developing countries to protect their forests by putting a value to their carbon stores and other natural benefits.” REDD+ would be cost & environmentally effective if it requires crucial land & resource tenure and human rights for forest communities prior to funding. It does not yet. If the Prince means what he said above, then he needs to push for they stipulation of those rights. We at the Living Story Foundation https://tinyurl.com/zuj3y8m have documented that those who have title and benefit from their forests have a stake in their future are the most likely to protect them. Governments have not protected these forests as effectively as those few forest peoples, that have enforced human and tenure rights, and can depend on and defend their forest. These are rights most true democracies take for granted but now must be extended to forest people.